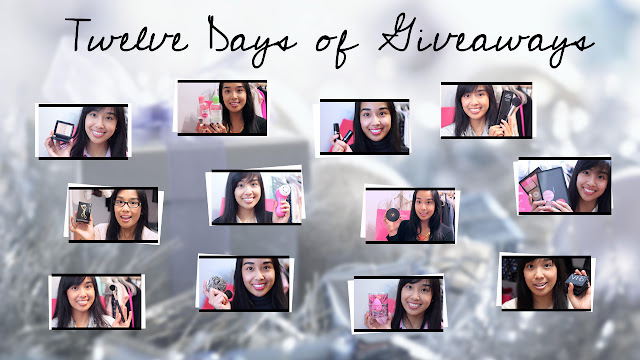 Can you believe it's the last day of this little giveaway series? Time flew! 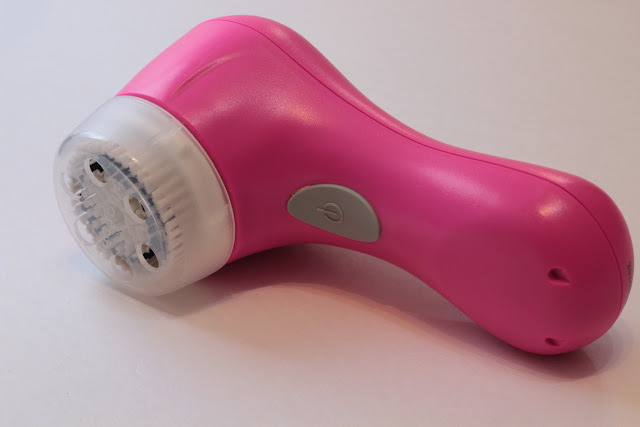 Today I wanted to give away my favourite beauty tool, the Clarisonic Mia. This amazing electric face brush has changed my skincare routine. For the better, of course. It's a simple tool -- basically an oscillating brush head -- but it has done wonders for the texture, softness, and appearance of my skin. Now, my skin isn't the worst, but it's not the greatest, either. It's right in the middle. I'm prone to acne, though I haven't had a breakout in a while (knock on wood), and my skin type is combination / normal. It's not overly sensitive, though exfoliators and certain treatments can irritate my skin occasionally. I picked up the original Clarisonic years ago, but I lost it while traveling. A few months ago, I decided to pick up another one, this time the Mia, and I cannot go without it anymore. I noticed an immediate difference in my skin. I am now obsessed. It has helped with some blemishes / hyperpigmentation that I have on my forehead from breakouts, and like I said, the overall texture of my skin. I did experience breakouts the first week(ish) that I was using it. I think it my skin purging all the impurities under my skin because I never had a breakout since. I love the Mia because it's portability is very travel friendly, it has one speed (and I find that's all I need), and it comes in a lot of fun colours! If you'd like to win a Clarisonic Mia, your choice of colour, just enter below. All you need to know is that this giveaway is open worldwide and it will end on December 16th, 2012 at 12:00 AM EST. The winner will be contacted via email. Plus, I will announce the winner here and on facebook / twitter. My skincare routine has been the same since I was 12: makeup remover if necessary, SpectroGel cleanser (applied with hands), and then moisturizer. I'd love to add Clarisonic into my routine! Oh I would love to win this! I like to keep my skincare routine simple and I like to use all my products from one brand, right now I'm loving Ole Henrikson products! Cetaphil then just a hyaluronic moisturizer! I try to keep my skincare routine simple. Cleanse and moisturize morning and night. Exfoliate twice a week. With the weather changing I've had to adjust the products I use. My skin is good but I've still been tempted to try Clarisonic! Twice a week I use a homemade acne mask(apple, cucumber, oats and honey. Daily I use Clinique's 3 step acne kit. Just a no-fuss cleanser, glycolic toner, and good moisturizer with SPF for the AM! I use a lot of serums in my skincare routine. Murad cleanser and lotion at night. Coconut oil as makeup remover. Just a steam and gentle scrub with a washcloth in the morning. i usually use the dove beauty bar soap with a sephora $7 brush ! In the morning, I use Neutrogena's Oil-Free Acne Wash and Aveeno's Simply Radiant Moisturizer with SPF 15. At night, I take off my makeup with a face wipe, cleanse with St. Ive's Apricot Scrub for Blemishes and Blackheads, and then apply Neutrogena's Alcohol-Free Toner and Olay's Night of Olay Oil-Free Night Cream. I always try to do a mask about once a week as well as use BeFine's Sweet Almond, Oats, and Brown Sugar Scrub. Night routine consists of DermaE Glycolic Vitamin A cleanser, acne.org treatment, M2 skin refinishing 20%, and Olay Regenerist microsculpting cream. Day routine is DermaE cleanser, acne.org treatment, Ole Henriksen Truth Serum, and Olay complete moisturizer for sensitive skin. It's been working wonders for me. I would LOOOOOVVE to be able to have a Clarisonic Mia! I use the La Roche Posay Effaclar Deep Cleansing Foaming Cleanser and then follow it up with the toner. And then moisturize with vaseline cremes. But lately my skin has been really dry and I've been skipping out on the Deep cleanser. I have just been getting flaky skin. It's super annoying. My skin has never liked winter but it has never been this bad. Thanks for the giveaway Aleeza! I have a pretty simple akincare routine cleanser and moisturizer with a gentle scrub once a week. I would love to try the clairsonic though. This is a great giveaway! I like to use Cetaphil cleanser every day and for serum and moisturizer I've been using the Mega Mushroom line from Origins! I use One Hand Washes the Other Black Magic cleanser and the exfoliating scrub version. They are both amazing products and I heard work well with the Clarisonic! I usually use Korres milk cleanser or Philosophy purity made simple. My skincare routine is simple. I use the Clinique liquid soap in the morning and St Ives apricot cleanser at night. For exfoliation I use the St Ives facial scrub. I use Aveeno Clear Complexion Foaming Cleanser and then moisturizer. Its simple. I just use a cleanser and then moisturizer. I would love to try the Clarisonic. I've heard really horrific things about the purging stage though. Did you go through that, and how long did it last? pretty basic. remove with BB cleansing oil. Wash w Shiseido foaming cleanser. Apply Coverfx Skin prep. Apply eyecream (using a few at the moment). currently im trying out the 'intense hydration' burts bee cleanser because i was sent to try it out! Use a sephora face brush with lancome cleanser, followed by clinique moisturizer! I've been using Boscia's Purifying Cleansing Gel to cleanse my face, and occasionally use St. Ives Green Tea Scrub to exfoliate! remove make up, cleanse my face, tone, moisturize... occasional mask and spot treatment. I don't really have a skincare routine. In the morning I use a gentle cleanser and use MAC strobe cream as my moisturizer and I also mix a high SPF moisturizer with my foundation. At night I remove my makeup with olive oil, wash my face with the same cleanser and apply a think coat of castor oil all over my face. I have combination skin but now during the winter it has become super flaky. I exfoliate twice a week with LUSH's Dark Angels. I use a bioderma cleanser and then a Clinique eye cream and moisturizer! Recently I have been absolutely in love with my new skincare routine. I use REN products, which are 99.8% natural. I think the cleanser will be great with the Clarisonic! :) so generous of you! Happy holidays! That's about it! And, some treatment types things that I use if I feel it is needed. That looks nifty! My routine is pretty simple: cleansing milk, toner, moisturizing cream. I exfoliate a couple of times a week but I tend to break out pretty badly every once in a while anyway. i use the ponds makeup wipes first, then the nuxe cleansing milk, the avenue gentle gel cleanser and a homemade rosewater toner to finish it off! My skin are routine consists of my Neutrogena acne cleanser and the occasional sulfur mask. biotherm eye cream, naruko face cream and then shiseido sunscreen 365 days a year! Neutrogena eye makeup remover to for the eyes, Olay Foaming Facial Cleanser or Neutrogena Natural's Daily exfoliating cleanser! My skincare is pretty easy, and quick. Re-wash my face with it. At night I use make up remover wipes first, then cleanse my face with exfoliating cleanser, then night cream. During the day I cleanse with Clinque's 3-step skin care. my routine is pretty basic I use the shiseido cleansing foam and then put on the toner and i finish off with the lotion. Apricot scrub morning and night! My main skincare consists of Cetaphil face wash, witch hazel as my toner, my Caudalie Vinoperfect serum to help with my pigmentation marks, and my Caudalie sorbet cream to moisturize! My skin is sensitive so I use cetaphil face wash and cetaphil moisturizer at night, as well as caudalie vinosource sos serum. for day, i use the same face wash but i use aveeno moisturizer and shiseido sunscreen. I use fresh cleanser, then my Khiels Clearly Corrective Dark Spot treatment, n then my Thalgo tere mer organic cream. N for night i just layer up Kiehls midnight recovery oil. Biore foaming cleanser. About once a week I﻿ use St. Ives Apricot Scrub. i use a foaming cleanser by neutrogena, i also use st. ives aprivot scrub twice a week. then simple toner, simple hydrating moisturizer then lip balm. i would love to have a clarisonic device to include in my routine. Sephora Triple Action Cleansing Water and Clinique Dramatically Different Moisturizing Gel! just cleansing, toning, and moisturizing. all from the body shop tea tree line! This is on my christmas wis list! I use Kiehls and Say Yes to products. I've just changed my skin care routine by using some facial cleansers from Lush. Every night, I was my face with "Simple" face wash! i like to use one of those cleaning wipes to take off my make-up, then use a cleanser and a facial brush. Could use a clarisonic! Especially that pink one! I am currently trying to repair the damage using philosophy purity cleanser did to my skin! I use eucerin or simple facial cleanser every night. I follow it with witch hazel toner﻿ and at night I put on benefit's moisturizer. During the day I use biore's moisture lotion with spf 15. I developed dry spots from purity so now I am exfoliating with benefit's facial exfoliant. I am treating the pimples with elf's zit zapper. I also have rosacea and use Eucerin Redness Relief to calm down the redness. I would love to be using the Mia to help repair my skin! I use Shu uemura's brightening cleansing oil and Shiseido's Extra Gentle Cleanser. I use Body Shop Organics and Naturals line foaming cleanser and I feel like their foaming cleansers are really good, last long, and are not as messy as gel and cream cleansers as they are dried. I have used up 4 bottles by now and will purchase again! Amazing stuff! I use Biotherm Hydra Mineral Cleanser, toner and aquasource moisturizer (the green ones) but I've been thinking about changing to the oil cleansing method - just haven't been ballsy enough to try it yet! When I remember, I use the Sephora foaming cleanser, lancome acne solutions toner, then sephora moisturizer! ••••••••••• After I cleanse, I spray Clairvoyant Beauty's Simply Rosewater Toner on a cotton pad & wipe away any of the makeup/dirt that the cleanser didn't wash off. ••••••••••• After that I apply Clairvoyant Beauty's Light & Refreshing Cucumber Cream as a moisturizer. Dont have a very good one. Remove eye makeup and wash face with a cleanser (using aveeno now) until makeup comes off. I break out from everything, still trying to find the right makeup remover. i've been using the somme institute line and i love all their products! My skin care routine might seem like a lot, but I'm all about keeping it as clear as I possibly can while starting to prevent any premature aging. I have sensitive combo skin that is more on the dry side and have finally found a routine that works for me. 2. I then grab a cotton ball and remove any eye makeup with Cliniques eye make up remover. 3. Cleansing my face with one of 3 Clinique cleansers. I rotate between the liquid cleanser, foaming cleanser, and acne cleanser. I don't want my skin to get used to one cleanser. 7. I finish off with a few dabs of all about eyes. I use a 3-in-1 cleanser by Vichy to clean my face, then I moisturize. I use a Vichy cleanser, occasionally the St. Ives apricot scrub, and a Vichy or an Eminence Organics moisturizer. My skincare routine is to wash everyday with my Biotherm face wash and moisturize with a Vichy moisturizer. My skincare routine consists of using the body shop olive oil soap as a facial cleanser, the I use the burt's bees rosewater and glycerin toner and then I moisturize with the garnier oil free gel moisturizer and every wednesday I do a origins face mask (10 minute trouble...I think thats what it is called) and thursdays I do an asian sheet mask. Awesome giveaway! I've been following your youtube for a while and live how simple and classy your style is. My skincare routine is washing my face with Cetaphil cleanser and using sunblock. I do have acne, and am looking for a new product to try that will clear it up. I like Biore and Noxema.. I first use Missha's cleansing oil to remove all my makeup and then I use Philosophy's Purity Cleanser. I'm a stickler for a clean face! I find that I constantly switch between cleansers because I am hoping to find "the one" that will keep my skin clear and flawless. My skin likes to act on it's own sometimes. Girl, you know how it feels to wake up one day and wonder how that zip appeared overnight! Anyways, my skin care routine! 1. I wash my face with Aveeno Clear Complexion foaming cleanser. It's seriously THE BEST cleanser I ever tried! You should definitely buy it because you will not regret it. 2. After I cleanse my face, I wipe Clinique toner with a cotton round (from Target). After every use, I ALWAYS see dirty spots on my cotton rounds! Crazy how useful toners are! 3. For a moisturizer, I use Clear & Clear Dual Action moisturizer. This moisturizer really sinks into my skin and makes my skin feel tingly and energetic. All the products I meantioned are really great products! Girl, you gotta try them! Mine is very basic, I'm using the purity cleanser now but I don't feel that it's doing great things for me. My skin care routine is a face wash by Origins or an exfoliating cleanser by Clarins, then a sheet mask (asian, I love all of them :), then serum, Vichy moisturizer and Origins eye cream :) Thanks for the giveaway! My skin care routine consists of washing my face with clean and clear, then drying it up with a washcloth, and using my olay toner for sensitive skin. depend on the days i will switch up my cleansers. I use Origins checks and balance face wash every day and once a week I use Exfolikate. I use the Murad skin perfecting lotion during the day and the Origins High Potency Night-a-mins at night. Hello, thank you for hosting the giveaway! I use Neutrogena facial cleanser in the morning. I then use Estee Lauder's Idealist Skin Tone Corrector, Estee Lauder's Daywear, and sunblock. I like to use Exfolikate once or twice a week and for night, I use Sephora's cleanser, Lancome's Bienfat Multi-vital Night cream, and eye cream. I have recently become obsessed with Bioderma for sensitive skin! It's amazing because my face doesn't break out!! !